Music promotion. The easy way. Let your fans listen the way they love. One Promolink for all the leading streaming platforms. Simply create your Promolink from your LANDR release, and share it on any social platform. Give your audience an easy way to listen to your music, no matter what device or platform. Make a custom message to be included with your link when you post to social. Promolinks are included free with every LANDR distribution account. Having trouble? Our team of musicians is always on hand to help. Current supported platforms. More coming soon. 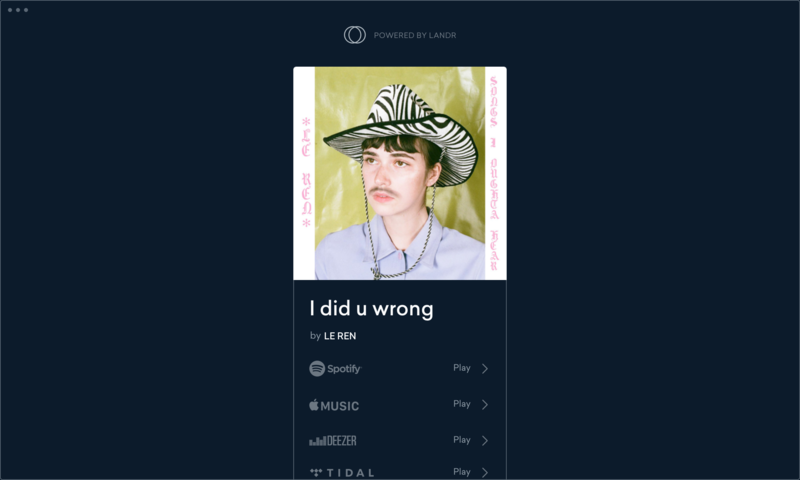 LANDR feels like a godsend. Promolinks are included at no charge when you release your music with LANDR.